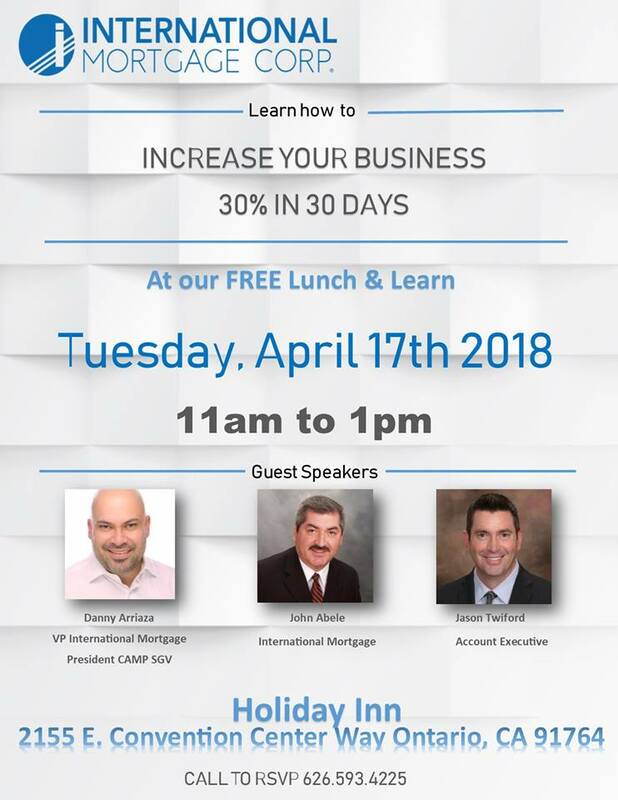 Join International Mortgage for a look at how you can increase your production and volume by 30% in just 30 days. Guest speakers: Danny Arriaza, John Abele, and Jason Twiford. Lunch will be provided. IRES Think BIG, Live BIGGER, First 90 Review!